Successfully Added USB Temperature And Humidity Logger - Store 32256 Reading, -30 to 80 Degrees C, 1 To 100% Humidity to your Shopping Cart. 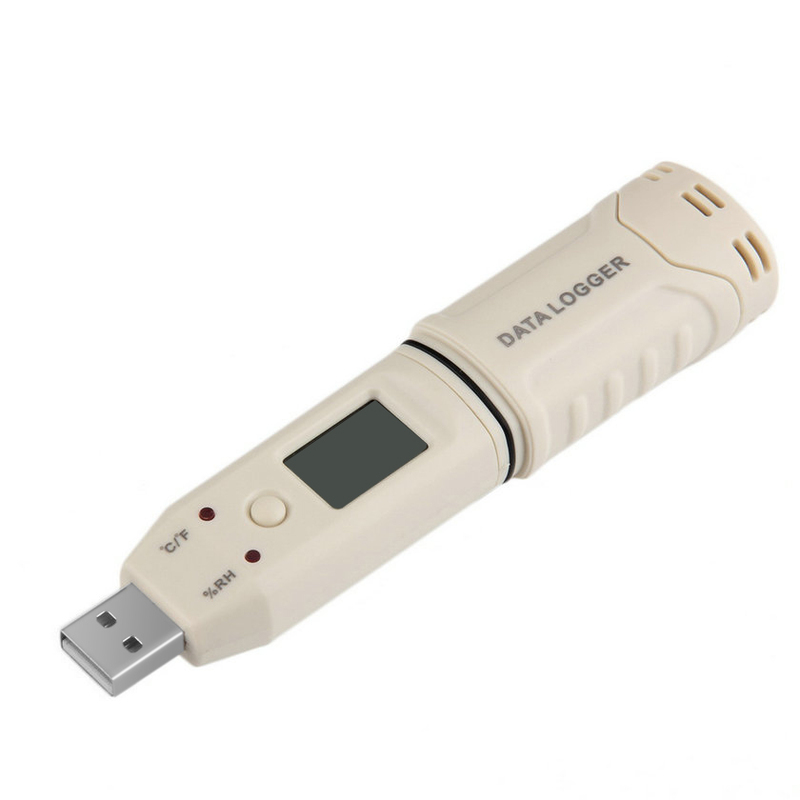 This fantastic USB Data Logger is the most cost effective solution to logging humidity and temperature measurements for a multitude of uses such as meteorological observations, Medical and pharmaceutical laboratories, Server and data storage rooms, archives, museums and cold chain transportation to mention just a few. With this USB logger you can measure temperatures from minus thirty to eighty degrees centigrade and humidity from 0 to 100%RH. With an accuracy to within 0.3 degrees C and 2% humidity you can acquire very precise readings. Its ability to log in real time and display the data on an LCD display or store up to 32256 readings offers great versatility so you can monitor and measure reading over a prolonged time and transfer the data to your computer by plugging this data logger into the USB port. This will also allow you to set up sampling periods and storage intervals for the data readings. This USB Data Logger comes with a 12 months warranty. Brought to you by the leader in electronic devices as well as wholesale measuring tools and cool gadgets, Chinavasion..